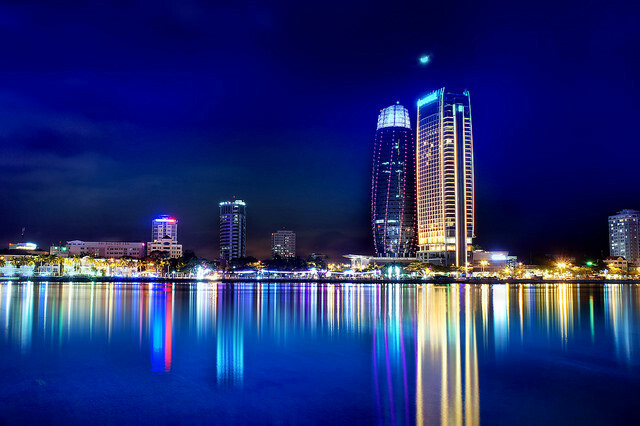 Da Nang city lies in the Midlands of Viet Nam, from which Ha Noi capitol in the north and Ho Chi Minh city in the south are almost equally spaced. Da Nang is also the central point connecting three UNESCO World Heritage sites: Hue Citadel, Hoi An ancient town and My Son Sanctuary. If you go to Hoi An, it takes about 30 minutes to arrive, and you need 2 hours by car to go to Hue. To visiting Hue, you should go during the day, and for Hoi An, you should go to night to see the ancient town more beautiful through lanterns. The city is located in the middle of the country, on north – south trunk roads on road, rail, sea and air and lies at one end of the East–West Economic Corridor, an economic corridor connecting Vietnam with Laos, Thailand, and Burma (Myanmar). The city has an area of ​​1,285.4 km ² consists of 06 urban districts (Hai Chau, Thanh Khe, Lien Chieu, Ngu Hanh Son, Son Tra, Cam Le) and Hoa Vang rural district, the Hoang Sa island district, with a population of 1,064,070 inhabitants (as of to 12/2017). 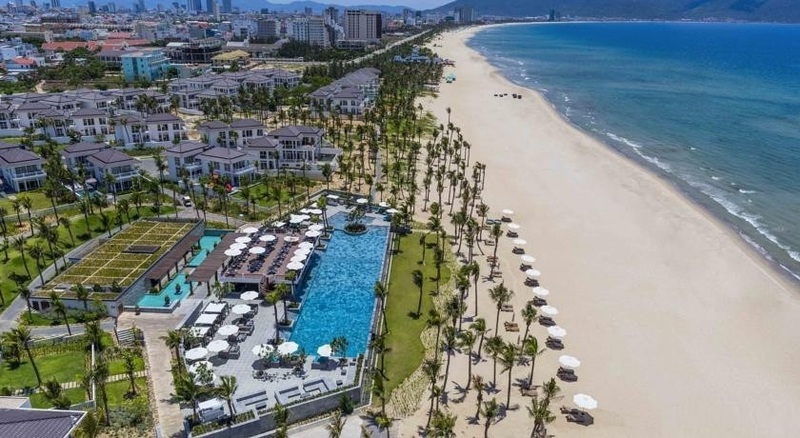 Not only is the city famous for its beaches, Da Nang’s charm also lays in its geographical position: leaning against the majestic Truong Son mountains (or the Annamite Range), as well as having Son Tra Peninsula embracing the sea. 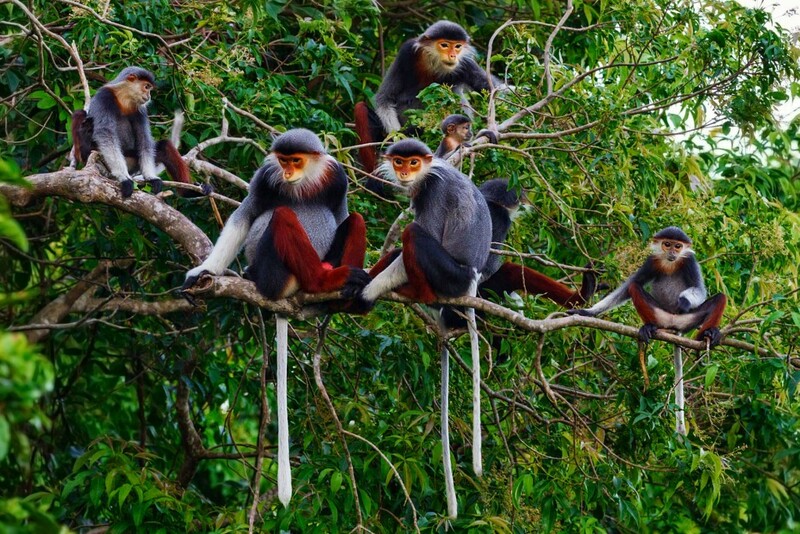 At Son Tra Mountain, you can follow the forest route to the top of Chess Table (Bàn Cờ), in this place you can see Voocs, this is a very rare and beautiful animal that nature grant to Da Nang. Hai Van Pass, shaped by this ideal geographical feature is praised ‘The most marvelous scenery of all’ for having an amazing view overlooking the sea, besides the notorious dangerous curves. Since the opening of Hai Van tunnel (Viet Nam’s longest road tunnel) traffic flow and safety have improved. From then on, Hai Van Pass has become the destination to nature-loving explorers and motorists who dare to challenge themselves on these notorious routes. 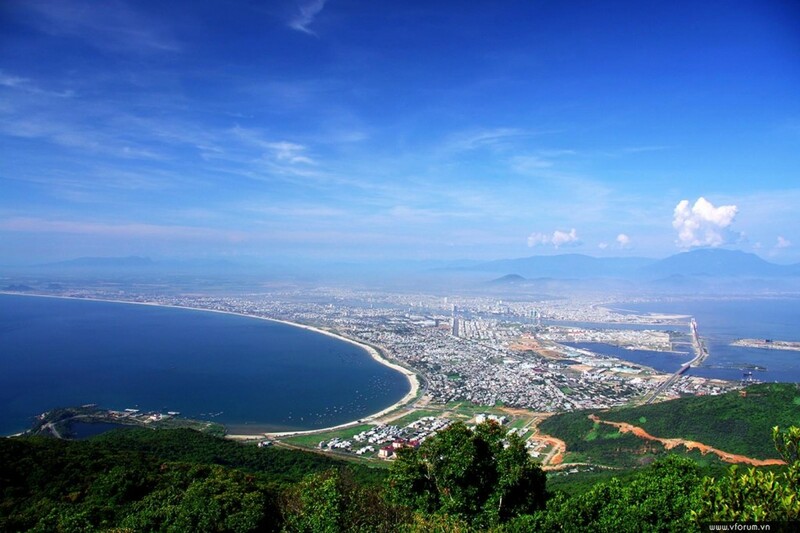 Da Nang city is also home to Ba Na Hills – a well-marketed brand of Da Nang tourism. 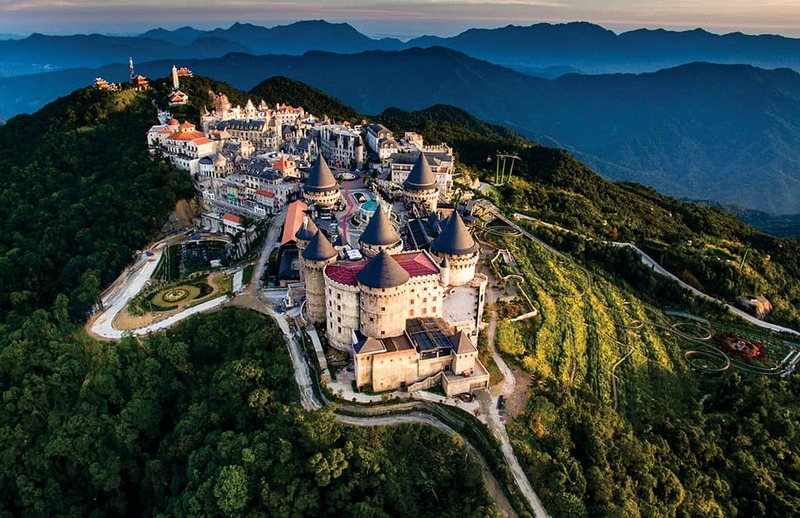 Explored and constructed since the French colonization, Ba Na Hills has increasingly become a popular tourist attraction with 2 Guinness World Records holder cable cars and the greatest indoor amusement complex in South East Asia – Fantasy Park (Sun World Da Nang Wonders). 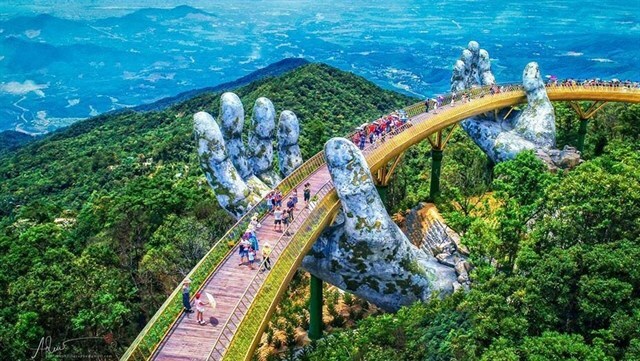 And you will see Golden Bridge that appears to be suspended by a pair of giant, cradling hands made of stone that were made to look aged by the sun. This amazing structure opened in June 2018 at the Bà Nà Hills Resort. The bridge is 500 feet across, 4,600 feet above sea level and is lined with purple chrysanthemums the entire way. 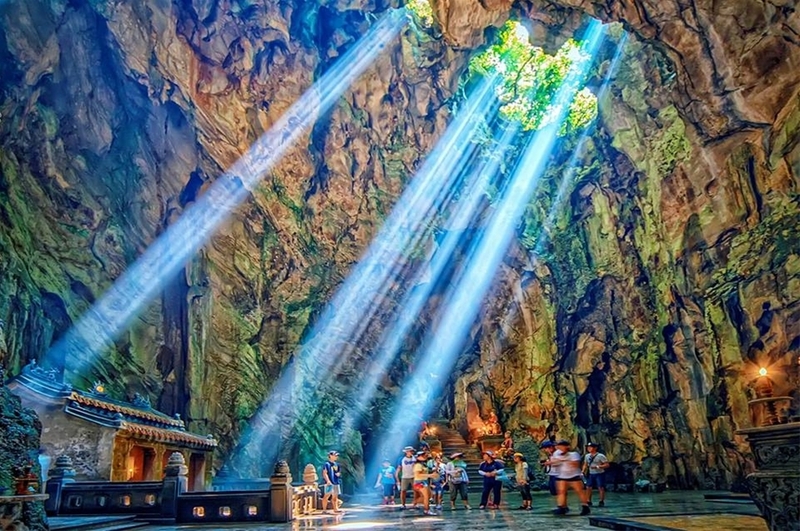 From Ba Na Hills – the western part of the city, visitors can turn to explore Son Tra Peninsula in the North East – a jungle in the middle of the city with a rich vegetation, fauna and flora; along the unspoiled rough and rocky coast. Heading towards South East, you will be caught by the renowned Marble Mountains where scenic beauty, culture and religion are preserved. Not only blessed by countless beautiful sceneries, Da Nang is said to be ‘worth-living’ due to its refreshing and peaceful environment. 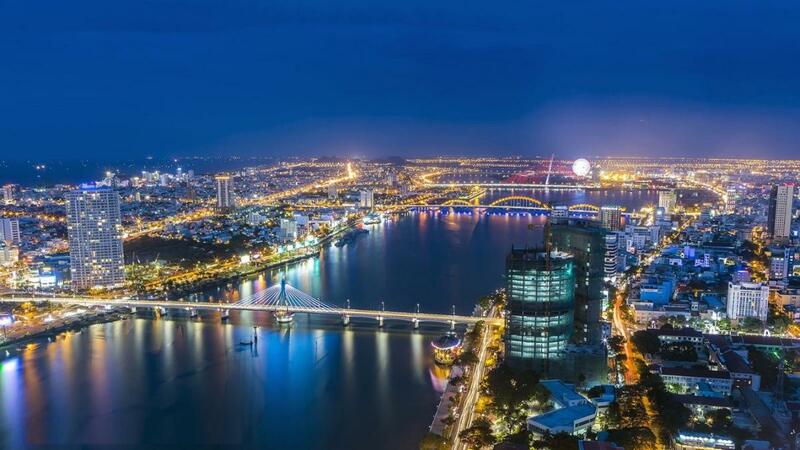 Used to lead the country in terms of economic advancement, Da Nang at the same time keeps its safety and security level under control, resolves states of homelessness and vagabonds, does away with drugs and reduces traffic jams to minimal degree. Therefore, visitors can rest assured and tour the city in the most comfortable and mind-easing position. Coming to Da Nang, tourists will satisfy their appetite with countless local specialties such as Quang noodles, steamed rice pancake rolls with sliced boiled pork, fresh seafood,… in over 150 high-quality and standard restaurants. At present, a wide range of recreation activities are taking place all around the city, predominantly at Bach Dang street. Take a walk along the street to get a feel of Da Nang by night, check out traditional art performances or engage ourself in nightlife entertainment outlets. 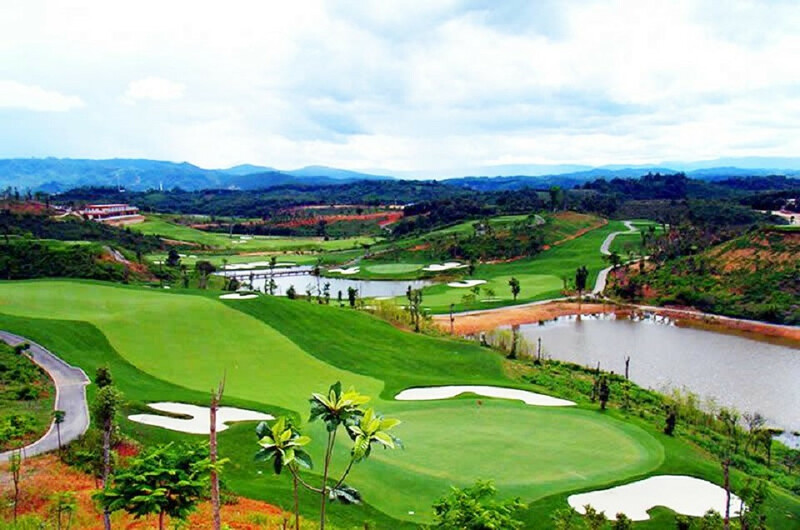 Golf-lovers will surely be delighted at Da Nang’s awards winner 18-hole golf course. 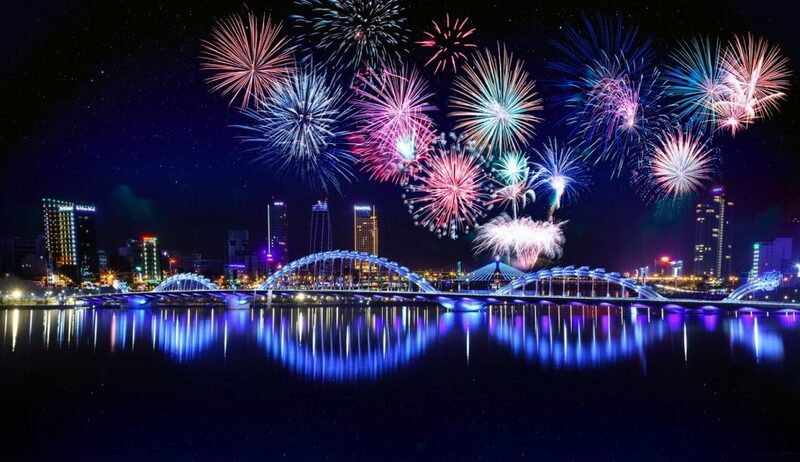 To become an event tourism destination, Da Nang is running plenty of large-scaled tourism events, one of which is Danang International Fireworks Festival or DIFF – a display of marvelous fireworks shows from many different countries. Such a success has DIFF been that the event is said to be Da Nang ‘original’ tourism product. On May 2011, the city organized the ‘International Parasailing Contest’. Following shortly in June is the opening event of the summer season ‘Da Nang Summer Destination 2017’ – a selection of beach recreation activities for holiday-makers. Tourists should have no difficulties getting to Da Nang. The city’s international airport operates at great capacity (receiving about 6 millions of passengers per year) and has opened many direct flight routes. Tien Sa seaport is another traveling hub of the city, accommodating luxurious cruise ships. If you are coming by road or by train, Da Nang is among the main stops where there will be callings. As of October 2018, the total number of arrivals to Da Nang reaches 6.833.891 people, increasing by 21.5% compared to same period in 2017. Out of the total number, there are 2.507.414 international arrivals – a 31% increase from last year; 4.326.477 domestic arrivals – an increase by 16.7% from 2017. Total tourism revenue is estimated at 23,661 billion VND, an increase of 43.1% compared to the same period in 2017.